Application：Tea、juice、functional drink、milk beverage etc.Applied Containers：Heat-resistant PET bottles with various capacities and shapes.Filling SystemMechanical valve or Flow-Meter Valve. 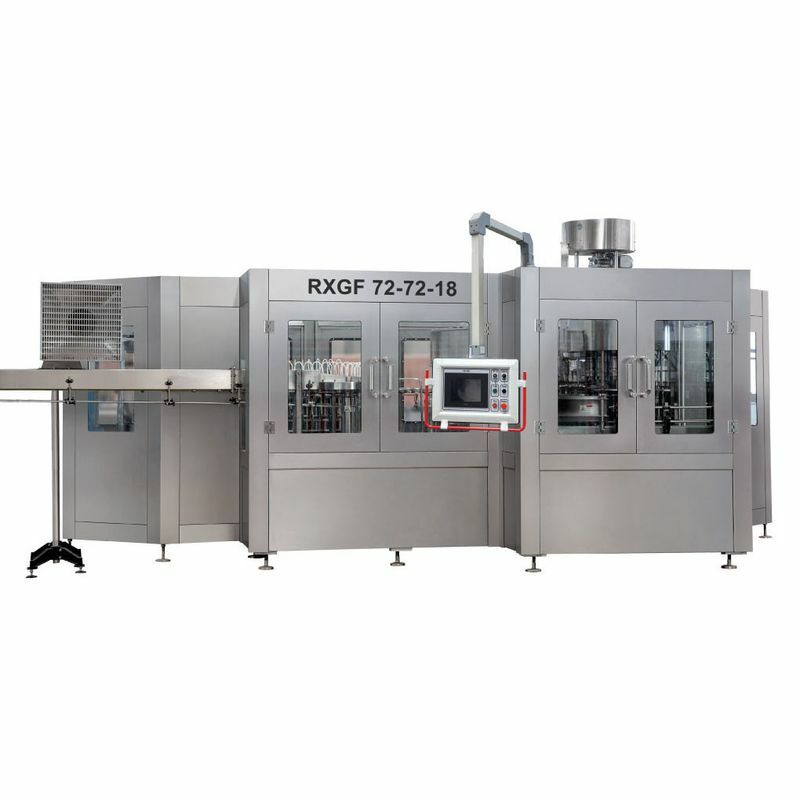 Product’s scope：Blowing molding system，Air compressor system，Filling system，Purification system，Caps sterilization system，Sterile air system，Bottle tilting chain and Cooling tunnel, Filled bottle conveying system，Labeling machine，Carton/Film packing machine，Palletizer，Electric control，Engineering design and Construction. Our juice, tea drink filling machine is an automatic liquid packing machine which perfectly combines bottle washing machine, pressure filling machine and capping machine. In addition to juice and tea, this filling machine can also be used to fill non-carbonated liquid like water. 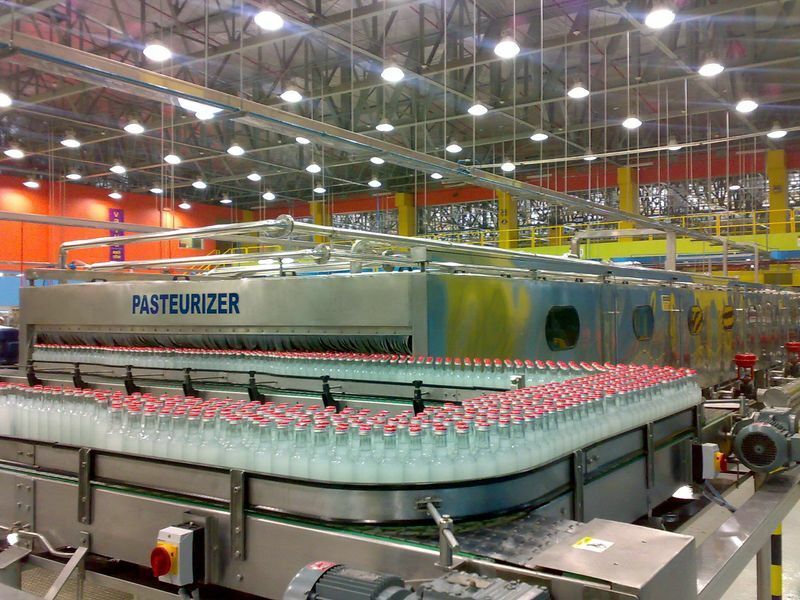 Empty bottles are conveyed to the rinsing machine by an air conveyor, then be turned over and washed inside by the nozzles. 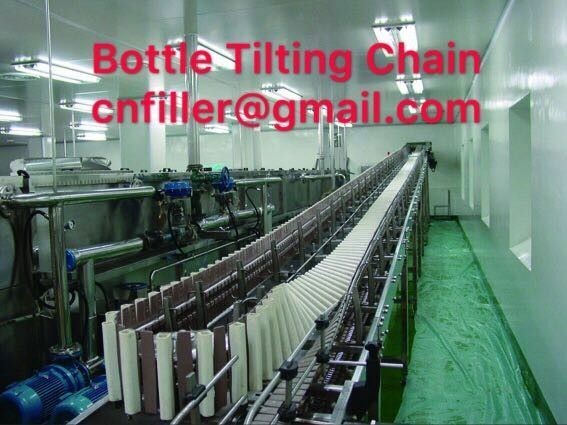 After dripping, bottles are fed into the filling machine for high quality filling. At last, safe and reliable capping is performed by the capping machine. 1、All parts in contact with liquid are manufactured by superior stainless steel so as to meet the related food hygiene requirements. 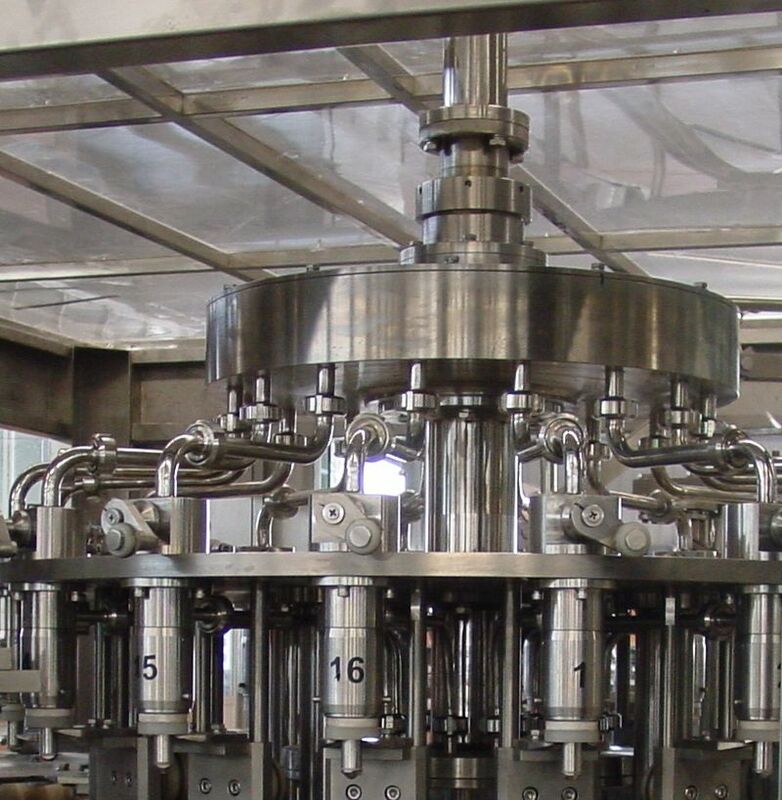 2、The adoption of pressure filling method helps our juice, tea drink filling machine accomplish high filling speed, high filling precision and great filling quality. 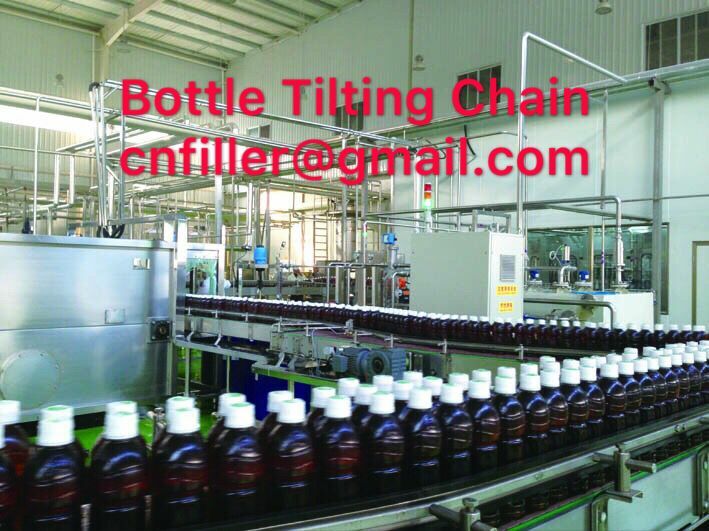 3、Bottles are conveyed by the air conveyor, transported by clipping the bottle neck and put out by normal conveyor chain. Thus, it is easy to change bottle size. 4、3-in-1 monoblock greatly shortens the process of washing, filling and capping, which can effectively reduce product pollution and help keep the machine clean and sanitary. 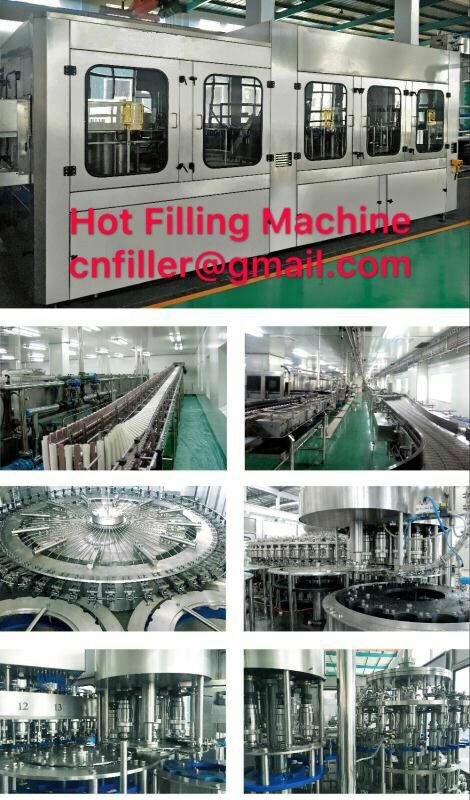 5、High efficiency of this filling machine results in low production cost. The system uses hot water showering for sterilization and gradual cooling with 5-section treatment. It equips automatic chlorine dosing pump which can adjust chlorine dosing quantity according to water supply volume. Hot water is produced by steam heating device. The used water flows into water flume in the machine base and recycled by showering pump for using again. If the hot water temperature does not reach preset temperature value, it will be heated again by heating device. If hot water exceeds the preset temperature (the cooling water has been heated by heat of the bottles), it will be conveyed by recycle pump to cooling tower outside of workshop and cooled for reuse.